Spotify (NYSE:SPOT) has had a strong start to 2019 — after an ugly end to 2018. At December lows, SPOT stock had fallen by close to 50% from its highs. Since then, however, Spotify stock has rallied 41% in less than four months. The volatility makes some sense. Spotify still isn’t profitable, or close: it’s guided for an operating loss of €200-€360 million in 2019. Competition remains intense: Spotify is fighting for market share against some of the world’s largest companies. And the long-term strategy remains unclear — likely even to management — amid what should be a shifting tech and consumer landscape over the next few years. The case for SPOT stock remains intriguing, given its enormous (and growing) subscriber base and the potential for rising prices. But the risks — particularly in terms of valuation and competition — can’t be ignored. I wrote in early January that the question was whether Spotify was the next Netflix (NASDAQ:NFLX) or the next Pandora. That’s still the core question, and an investor’s answer depends on these key factors. Are Podcasts Material for Spotify Stock? On this site, Luke Lango argued this week that Spotify stock could climb to $170. Lango called out one potential catalyst: Spotify’s increasing focus on podcasts. Last month, the company acquired podcasting leaders Gimlet Media and Anchor, for a reported combined US$340 million. In October, the company also launched its own platform, Spotify for Podcasters, to further drive growth in that category. The move seems like an intriguing — and natural — step. Podcast listenership continues to skyrocket. And podcasts provide an easy complement to Spotify’s legacy streaming music offerings. The question is whether the industry is big enough. Total podcast revenues were projected to be about $650 million in 2018. That’s about double 2017 levels, but again, that sub-$1 billion figure is monetization for the entire category. Spotify stock has an enterprise value of about $26 billion. Its margins won’t be that high, given a need to share revenue with creators. And so to move the needle against that valuation, the industry needs to grow exponentially and Spotify needs to take huge marketshare. It’s certainly possible, and Spotify looks to be in prime position at the moment. But investors betting that podcasts will boost SPOT stock need to be patient and trust that the category on the whole will continue to grow. Can India Keep Pushing SPOT Stock Higher? In recent sessions, SPOT stock has moved higher. And that appears to be related to early success in India. In the first week of its launch, the company added 1 million unique listeners. That’s a huge number. Spotify closed 2018, according to its 20-F, with 207 million MAUs (monthly active users). Even a deceleration in the growth rate in India suggests it could easily add 10 points of growth to MAU numbers. The sheer size of the market is a boost as well: outside of China (where Spotify is blocked), India accounts of over 20% of the entire world’s population. Both Netflix and Walmart (NYSE:WMT), through its Flipkart subsidiary, have targeted India for video streaming — for good reason. The recent optimism makes some sense. The question is whether that growth can continue and how profitable the market will be. Spotify’s premium plan costs just 119 rupees — about $1.70 per month, far lower than plans in developed markets. Ad revenue likely will be much lower as well. India can be a material contributor to Spotify’s profits. But here, too, investors need patience for the market to grow and trust that Spotify can deliver. Can Spotify Hold Off Giants? Spotify is facing off against some of the world’s largest companies. Last July, Apple (NASDAQ:AAPL) saw its Apple Music pass Spotify in terms of overall subscribers. Amazon.com (NASDAQ:AMZN) continues to push Amazon Music Unlimited to its massive customer base. And Sirius XM (NASDAQ:SIRI) moved more heavily into the market with its acquisition of Pandora. Spotify does have an edge in terms of its international exposure. Per its Q4 release, 70% of subscribers come from outside North America – many in geographies where Apple, for instance, has much lower market share. But the fact remains that few companies face competition with such scale, existing customer bases, and resources. Spotify has done well in the thirteen years since its founding. It will be fighting giants for many more years to come. Spotify’s valuation, meanwhile, is somewhat in the eye of the beholder. The midpoint of 2019 guidance suggests revenue of US$7.4 billion (at current exchange rates), implying an EV/revenue multiple around 3.5x. In this market, where many consumer-facing stocks (think Shopify (NYSE:SHOP) or Square (NYSE:SQ)) trade at 10x+ EV/revenue, that figure doesn’t seem that aggressive. But from a margin and profit standpoint, the $26 billion market cap looks questionable. Spotify isn’t profitable and likely won’t be next year. And it shouldn’t receive sales multiples in lines with SaaS plays — because its margins are nowhere near as good. SaaS stock can see gross margins as high as 90%. Spotify is guiding for 22-25% in 2019. Royalties to creators will always be a factor: indeed, Pandora never could figure that problem out. At the same time, however, those low margins counterintuitively can lead to higher growth. Low gross margins can come up quickly if and when Spotify hikes pricing. Add, say, 10% to revenue and keep all costs flat, and Spotify moves from losing money in 2019 to making something like $300 million after-tax, well over $1 per share. Particularly after the rally, pricing power seems to be the key factor that divides SPOT bulls and bears. If the company can gain more subscribers at higher price points, it can grow into what looks like an unsustainable valuation from a profit standpoint. If it can’t — due most likely to competition — SPOT stock is badly overvalued. At these levels, in this market, I’m less interested in betting on Spotify’s pricing. But investors who love the product and/or the stock might see it very differently. Indeed, the answers to all these questions seem likely to drive debate for years to come. 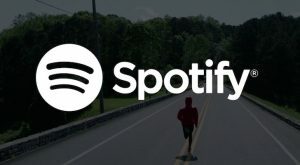 Article printed from InvestorPlace Media, https://investorplace.com/2019/03/key-questions-facing-spot-stock-spotify-stock/.